Linda M. Wigington Associates, is involved in initiatives to evaluate and redefine the process, scope, and value of residential energy reductions. She is demonstrating the feasibility of achieving deep reductions (beyond 70%) in existing dwellings through North American Thousand Home Challenge. Some industry pros may know her better as being the founder of and being associated with the Affordable Comfort Conference from its inception in 1986, (when she worked for ACTION-Housing), through 2013. As program director, she convened the program committees and confirmed the agendas for over 50 North American and regional conferences. These events have been instrumental in promoting an integrated approach to health, safety, durability, and energy performance. Linda has also been a technical consultant for residential utility programs. 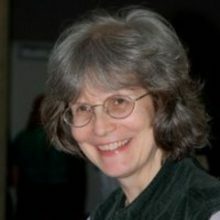 She was a founding member of the Passive House Institute U.S. (PHIUS) board of directors (2009) and is a board member of Community Solutions based in Yellow Springs, OH, and Cornerstone Care, a community health center serving several counties in southwestern PA. She has led the Reducing Outdoor Contaminants in Indoor Air ROCIS initiative since its inception in June 2014, and the ROCIS Low Cost Monitoring Project since it began in September 2015. In the past Linda served as an advisor for Habitat for Humanity International’s Green Team and is currently on the Editorial Board of Home Energy magazine. She received the American Council for an Energy Efficient Economy’s 2002 Champion of Energy Efficiency Award.